The District – Juniors 1×1 Rib V-Neck Tee Style DT234V is available in Juniors Sizes: XS-4XL and comes in yellow, bright white, dark fuchsia, jet black, new navy and charcoal. Very cute t-shirt. 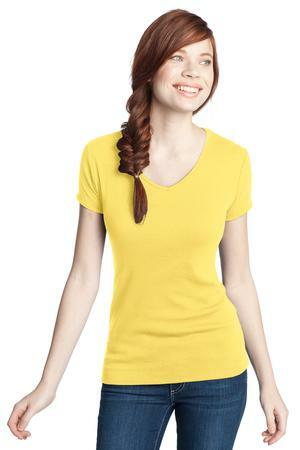 Our layerable v-neck mixes softness with an outta-this-world fit. Be the first to review “District – Juniors 1×1 Rib V-Neck Tee Style DT234V” Click here to cancel reply.